when I first had a loan of a harp in Nov 2012. My harp lessons are going well, I think. and playing simple exercises until I learn to hold my hands just right. and don't mind the restrictions. It's good to have a teacher tell me what to do. It's not just up to me, anymore. that bit more seriously, somehow. 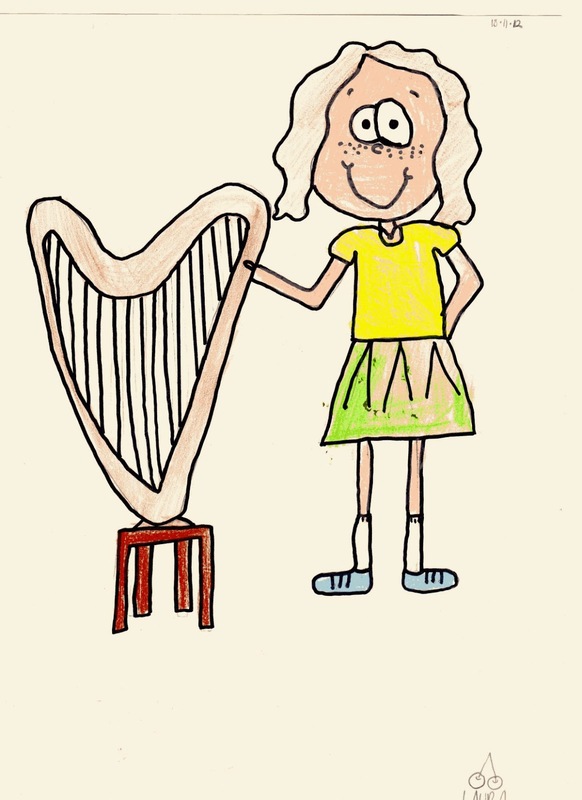 a full skirt or pants for harp playing. If I wear a straight skirt, I just don't practice that day. Long white socks and running shoes: optional.